Founder and CEO of Rainworks - Laurie Dee, is still recognised by many New Zealanders from the days when his name was a household word on television entertainment shows. Prior to television, Laurie had studied agriculture and had gained a trade certificate in engineering. 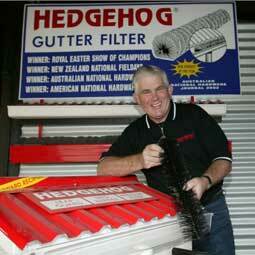 The Auckland water crisis of 1994/95 prompted him to start developing tools and accessories that would help city folk capture and conserve rainwater.